LET'S GRAB YOU A SLICE OF AWESOMENESS! You don't need to be tech savvy or hire expensive developers to have a beautifully branded online presence! 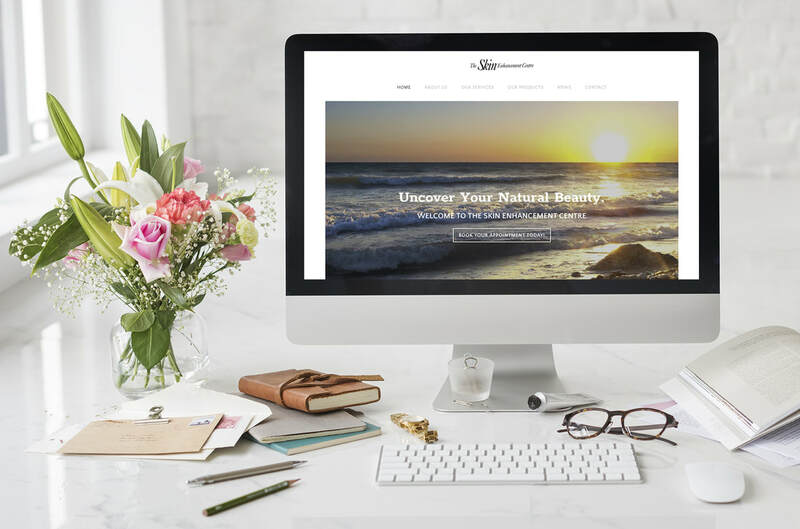 Using the latest online platforms such as Weebly and Squarespace, let me assist you with creating a website that is attractive, mobile friendly and and easy to upkeep! The cost is affordable — often a fraction of a developer or web programmer. You won't need to know code or wrangle with wordpress, freeing you up to focus on what's important to you. ASK ME HOW! I LOVE THIS STUFF! Take a look at some of the latest website work below! 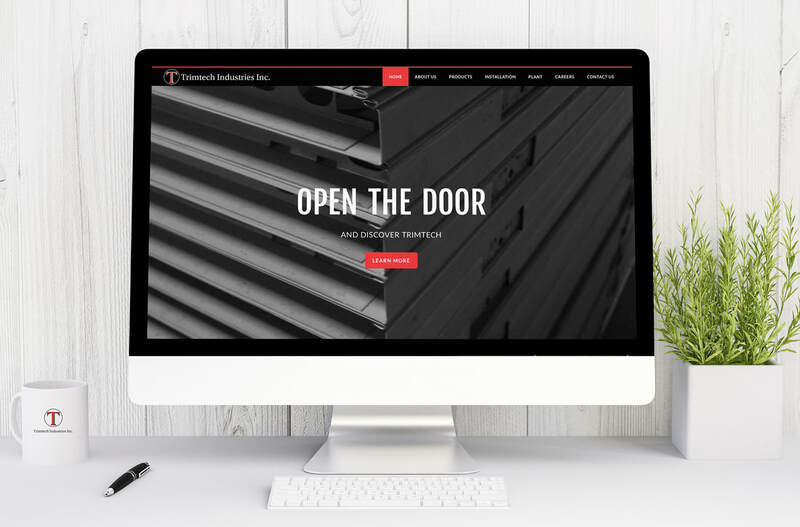 This beautiful website was created for Edmonton based Trimtech Industries to express their Brand online. It was created effectively with Weebly and and the project included copy writing and photography to highlight their projects, products and services and especially their custom solutions for frames made in their plant. 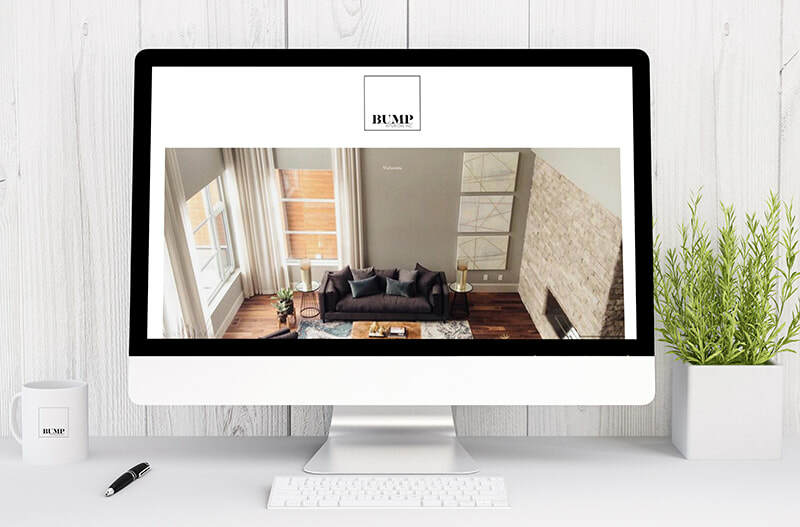 Bump Interiors is an Edmonton based interior design firm that needed to refresh their brand identity and online presence. We created a wordmark logo to match the elegance of their design style. The website is also clean and modern with a focus on a photographic porfolio of their latest projects. The Skin Enhancement Centre is an Edmonton based company that needed an updated web presence to highlight their products and services, emphasizing quality, comfort and a professional, welcoming atmosphere. The site is mobile friendly and includes landing pages for each offering as well as blog function.